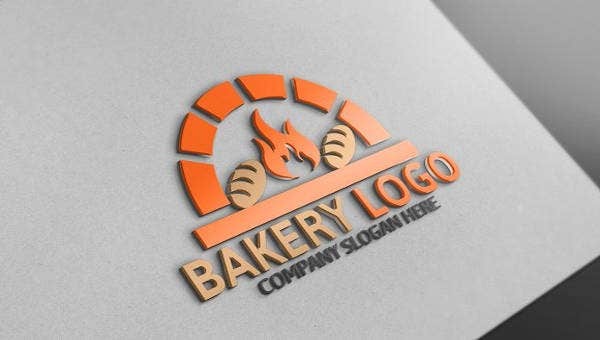 Creating Beautiful Bakery Logos is a costly and time-consuming task. If you are interested in the efficiency of your logo, you should use premade templates. You can use them in designing your wedding and birthday cards, business logos, symbols, emblems, and badges. This is supported by their varied resolutions and the ability for resizing while maintaining their qualities. Thus, they suit papers, clothing, and websites. Interestingly, they feature different technologies, colors, shapes, and fonts. Thus, you are certain of getting premade logos that match your needs. The collection of 15 Bakery Cupcakes symbols contains badges, logos, and cake labels in modern & vintage style. The Coffee Logos pride themselves on high resolution, AI, EPS & PSD technologies that require Adobe CS1+. The handmade Bakery Logo of Cup Cake in chalkboard font features watercolors, customizable texts & fonts, and editable PSD, JPG, and PDF files of high quality with different watermarks for web and offline use. You need Shutterstock Editor for modifying the major elements of the premium Gold Bakery Template. It features a black background and vector illustrations in a vintage style for billboards and logos. The assortment of 24 Bakery and Coffee Logo Templates contains editable texts, colors, and typographies. The vector files can be availed under Extended and Standard Licensing feature PNG, EPS, and All files. The downloadable set of premium Fast Food Logos and Badges features AI, EPS 10, SVG, PNG, JPG, and help files. It prides in monochrome and colored designs, free fonts, retro style, and changeable elements. Shutterstock Editor aids in modifying the colors, fonts, texts, shapes, and vector illustrations of the Bakery Logo Design. The high-resolution coffee logo comes in diverse sizes, vintage style, and web & graphic designs. Use the handmade Food Labels featuring premade watermarks, watercolors, and a collection of logos for branding. The alternate symbols contain customizable colors, fonts, and texts in PDF & PNG styles of 300 dpi. The collection of Bakery Logos for purchase can be availed under extended and standard licensing. It features wheat fields and pastries, AI & TIFF files, and handmade editable vectors for brochures, labels, logos, and posters. The Fast Food Logos for Georgian Bakery Chain feature both graphic and branding designs. You can modify them for your organization. They suit headlines, websites, badges, apparel, book covers, and stationery. The fictional Bakery Logo for download is easily editable and customizable with Shutterstock Editor. It features ribbons, natural symbols, brown decorations, and resizable vector illustrations at high resolutions. Purchase the downloadable Bio Bakery Templates for use in designing your eatery’s logo. They feature AI and EPS technologies, CMYK colors, resizable vector files, free fonts, and a variety of colors. The premade Bakery Logo Design available for shipping features gold foil, watercolors, tagline, names, title, and changeable fonts. It comes with PNG, JPEG, EPS, PDF, and PSD files at 300 dpi resolutions. The Rise Bakers Logo Redesign features rays as they are contained in the main Food Labels. It features a symbol made from R & B. The simple icon works best for pastries and bread shops. The Beautiful Hand Drawn Fast Food Logo comes in a shape of newly baked food items. Modify the vector file featuring JPG, EPS, and All files under standard and regular licensing for your labels and tags. The premium Cupcake Bakery Templates feature in scalability, Good-Dog typography, and three-color options. They contain easily editable colors, texts, and organized layers. They suit cutlery, prints, emblems, and apparels. In conclusion, you should delight in using custom-made bakery templates. The collection of icons, badges, emblems, and symbols for online and offline use aids in branding and advertising different events. Apart from being easily editable, it features unique elements implying that you will succeed in designing logotypes that serve to your advantage.